Soho, designed by Ludovica + Roberto Palomba, that for its design is ideal for contemporary spaces, with this "industrial" finish enhances its minimalist elegance and aesthetic balance. 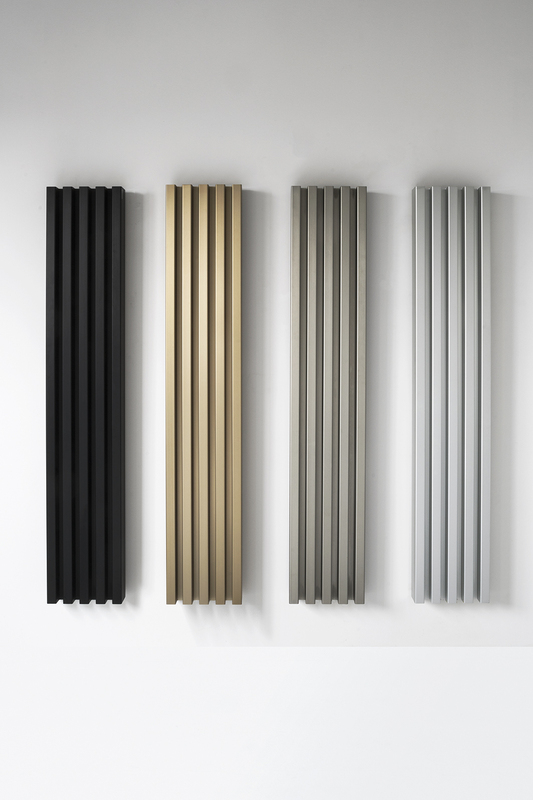 The radiator is built with hot extrusion aluminium sections held together by a patented positioning and locking system. Soho is available in vertical and horizontal versions, with single and double columns, from 60 cm to 280 cm in height and between 17.6 cm and 280 cm wide. In the double columns version Soho can be installed also in the free-standing version, both horizontally and vertically (this last option is equipped with a special support at the base). 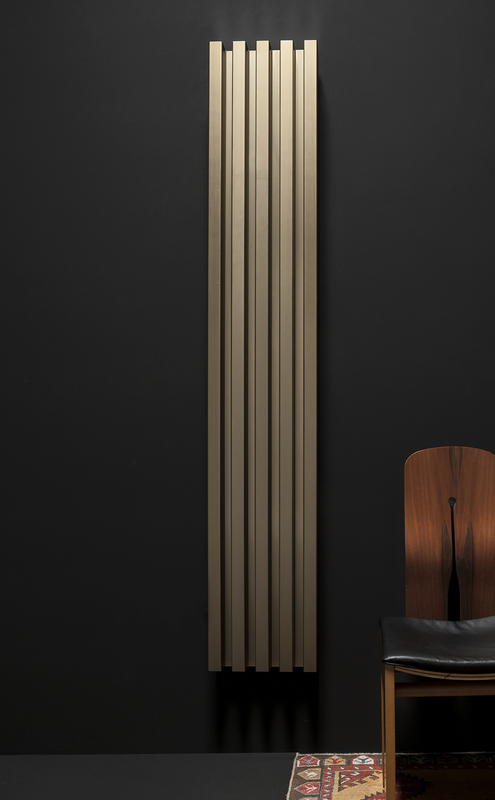 The free-standing solution emphasises its sculptural appearance and is ideal for creating very effective solutions where the radiator becomes the protagonist of the space. Soho is available in over 260 RAL colours, in particular galvanic plated finishes (chrome glossy, satin nickel, black nickel, polished tin, 14 kt gold and the new matt brushed copper) and the enriched anodised finishes (silver, titanium, black and bronze). The surface of the metal is cleaned, degreased and rendered matt through the use of specific chemicals. Subsequently, the metal is washed and left to dry, then covered by an oxide film which protects it against corrosion, achieving the desired chromatic hue.